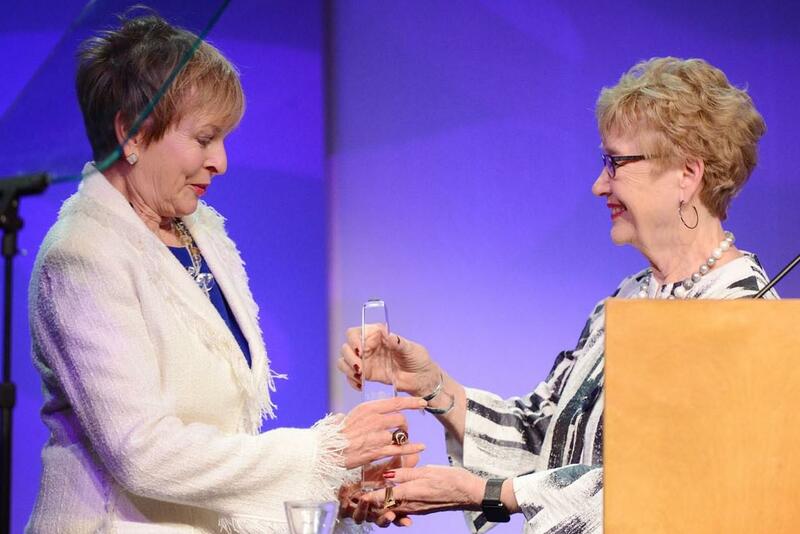 The Women's Health Leadership Trust (TRUST) presented its 2018 Jean Harris Award, to Paula Hart, President and CEO of Volunteers of America – Minnesota and Wisconsin (VOA-MN/WI). The TRUST, a 500-member organization, represents a shared commitment to advance women in health care professions, influencing policy and contributing to health care in our communities. Each year the TRUST recognizes a member who demonstrates vision and leadership to create healthier communities. Paula was president of the organization’s Board of Directors in 2006. A noted physician and visionary, Dr. Jean Harris began her medical career in the segregated South, where she was the first African American graduate of the Medical College of Virginia. She advised five presidents on health policy and was a celebrated corporate and public health leader. Her remarkable life and achievements also included becoming Eden Prairie's first female mayor. The Award underscores the importance of continuing to inspire leaders and others to shape a world with hope, honor and dignity. At VOA-MN/WI, Paula helps sustain a 122-year legacy as the organization serves more than 21,500 people annually, with a mission to help them gain self-reliance, dignity and hope. She began her VOA-MN/WI role in 2011 and leads more than 800 employees in delivering more than $46 million in services.